16/31 Les Winan Non-Stones fans will be a bit disappointed by the set list, but Scorcese has made the best-looking, best-sounding concert film ever. 22/43 Kim Hollis Magnificently filmed, even if the Stones are a little creaky. Keith Richards is horrifying in close-up. 32/98 David Mumpower The conflict between Scorsese and Jagger makes for a fascinating sideshow to a great concert performance. Plus: Tumbling Dice! 116/196 Max Braden I was hoping for more Scorese fretting behind the scenes. As it is, this is a well-shot concert, but not much more. 2007 has been a banner year for Martin Scorsese. After helming movie productions for a period of 48 years, the Queens native was finally honored with an Academy Award for Best Director thanks to his work on the $132.4 million blockbuster, The Departed. The award was long overdue for the man behind such noteworthy movies as Taxi Driver, Raging Bull, The Last Temptation of Christ, Casino and The Aviator. It took him seven nominations before he could finally claim the top prize in his craft, and he decided to celebrate the way many people do. He went to a couple of concerts. Scorsese joined fellow living legends, The Rolling Stones, at two of their shows at Bacon Theater during their most recent concert tour. Scorsese filmed the rock icons doing what they do best, performing decades worth of their classic hits. 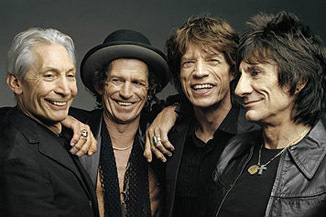 He is using the footage along with interviews with illustrious band members Mick Jagger and Keith Richards. Shine a Light will use this footage along with historical video of them from their earlier days as rock icons.